The Album Of The Day goes back quite a bit. 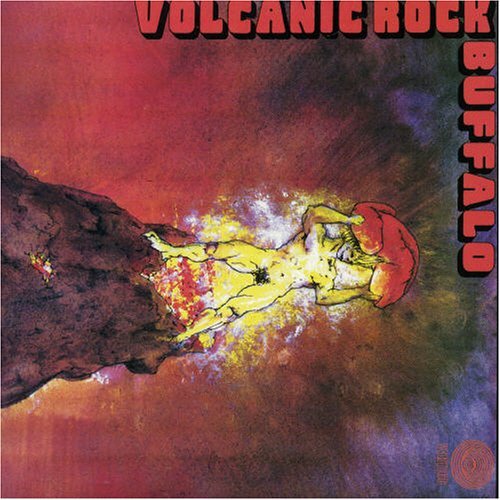 Aztec Music has recently re-issued all 5 albums by Australian heavy rock band Buffalo. But their finest work in my eyes is "Volcanic Rock" which is why I am making it The Album Of The Day. Enjoy! Volcanic Rock - one of the band`s greatest records and essentially the first stoner rock album ever issued in Australia. The importance of Volcanic Rock can never be underestimated. This is the album that established the band`s reputation for dispensing uncompromising heavy psych rock of monumental proportions; this is the album that continues to enthral aficionados of the genre the world over. It was this LP that established the classic line-up of: vocalist Dave Tice (who later joined UK R&B band The Count Bishops), guitarist John Baxter, bass player Pete Wells (who later switched to slide guitar in another legendary Aussie band: Rose Tattoo), and drummer Jimmy Economou. Aztec Music will be reissuing all 5 Buffalo titles in late 2005 / early 2006 - Dead Forever, Volcanic Rock, Only Want You For Your Body, Mother`s Choice and Average Rock N` Roller. Each release will be a deluxe version: newly remastered from the original master tapes with rare bonus tracks. They will be packaged in a 6-panel digi-pak with 24 page booklets - liner notes by Ian McFarlane, rare photos and recent interviews with key band members. Please note: there have been several unauthorised Buffalo CD`s released over the past 10 years - Aztec Music`s reissues will be the first ones that are both fully licensed, and done with the full co-operation of the band themselves - look for the AVSCD catalogue number & Aztec Music logo. Buffalo were the first band outside the UK to be signed direct to the prestigious progressive label Vertigo. The bonus tracks on Volcanic Rock are the mono single version of Sunrise (come my way), and a live version of Shylock. Purchase "Volcanic Rock" here . *All downloads are for preview purposes only and will only be available for a 24 hour period after which they will be removed from the site. Please be considerate and provide a thank you. If you like the band please purchase their merchandise. What's the password to the rar file? thanks for the album, can't wait to check it out!